Surgical conditions represent up to 30% of the global burden of diseases. 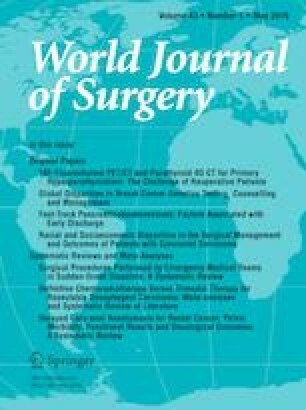 The aim of this study was to assess the delays in patients transferred to a tertiary referral hospital from district hospitals (DHs) in Rwanda with emergency general surgery (EGS) conditions. We performed a prospective review of all EGS patients referred from DH over a 3-month period to assess delays in transfer and accessing care. We then surveyed general practitioners to define their perspective on delays in surgical care. Over a 3-month period, there were 86 patients transferred from DH with EGS conditions. The most common diagnoses were bowel obstruction (n = 22, 26%) and trauma (n = 19, 22%). The most common performed operations were laparotomy (n = 21, 24%) and bowel resection (n = 20, 23%). The mortality rate was 12%, and the intensive care unit admission rate was 4%. In transfer to the referral hospital, 5% patients were delayed for financial reasons and 2% due to lack of insurance. After reaching CHUK, 5% patients were delayed due to laboratory and radiology issues. Other delays included no operating theater available (4%) and no surgeon available (1%). Providers’ perceptions for not performing surgeries at DH were predominantly the lack of a competent surgical provider or anesthesia staff. EGS patients represent a broad range of diagnoses. Delays were noted at each step in the referral process with multiple areas for potential improvement. Expanding surgical access at the DH has the potential to decrease delays and thereby improves patient outcomes.